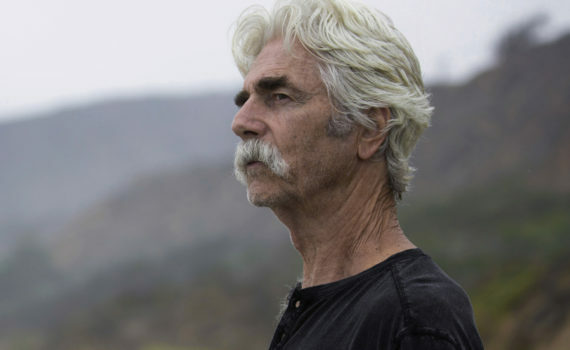 From the director of I’ll See You in My Dreams, and sharing one mustachioed star, comes The Hero, a Sam Elliott drama that lady baby boomers everywhere will eat alive as they imagine fantastic lovers as gallant cowboys and well-aged gentlemen. My mom, for instance, is a huge Elliott fan, and this film knows exactly which audience to target. What it also does well is add in enough other elements to draw in multiple audiences, not just the one obvious group. From Laura Prepon to Nick Offerman, from mollies to YouTube, this movie attempts to diversify its investments. It partially succeeds, and becomes a mostly well-made movie, if perhaps piggybacking on the success of its predecessor in an obvious and unimaginative fashion. Lee Hayden, the Hero, the star of an incredibly famous Western, but a man who has grown older without growing wiser. His fame dried up in the hills of California, and although he has worked in the industry, he’s never actually done anything special or resembling the quality of the role that made him a cowboy icon. Now, diagnosed with cancer and living alone, he has nothing left to do but reflect of his past successes and regret his past failures, both as an actor and as a father. A chance meeting with the beautiful Charlotte brightens things up for a bit, but nothing gold can stay, and what message will Hayden leave behind when he’s gone, because the end is only drawing closer for all of us; eventually the final curtain falls. This formula was done very well so recently in Haley’s other film, it’s almost prohibited for it to be done again so soon. It’s from a male perspective this time, and the story is sadder, but there are too many similarities, and you can’t simply recycle your entire successful film, expected the result to be exactly the same. With that said, The Hero has its positives, and I did like it, when taken as a whole. Elliott is a fine actor, and you can feel the heart he put into this character. Prepon is surprisingly good, though also a bit heavy on the Alex Vause, which isn’t surprising, since it’s her claim to fame now that we’re forgetting Donna. Offerman, I don’t know what to say, the guy just isn’t a great actor. He can do the job, he looks interesting, but he literally has one mood. I also wonder if this film was written from too much of a grown child’s perspective and not from a retiree’s point of view, Lee acting how the director imagines his dad would act, not then resonating with complete believability. Still, this movie is enjoyable from many different ages and slants, I just might recommend the Blythe Danner’s version.